It’s been awhile since Erin and I updated our site, and we thought creating quick posts about meals we’ve eaten would be a great way to breathe new life into the site. This week we’re visiting San Francisco while I attend Google I/O. We were both hungry and wanted to get something simple and warm on a damp, cool May day. 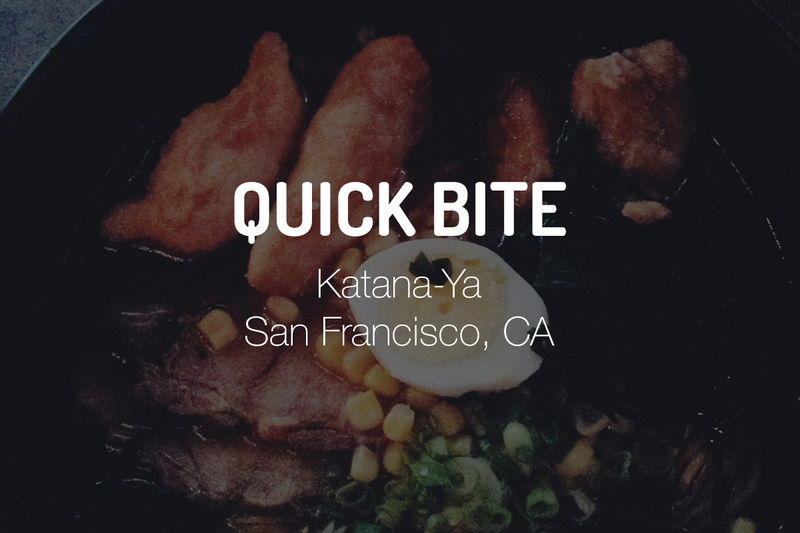 After some Google searching, Erin found Katana-Ya ramen in the Union Square neighborhood, which was near our hotel. 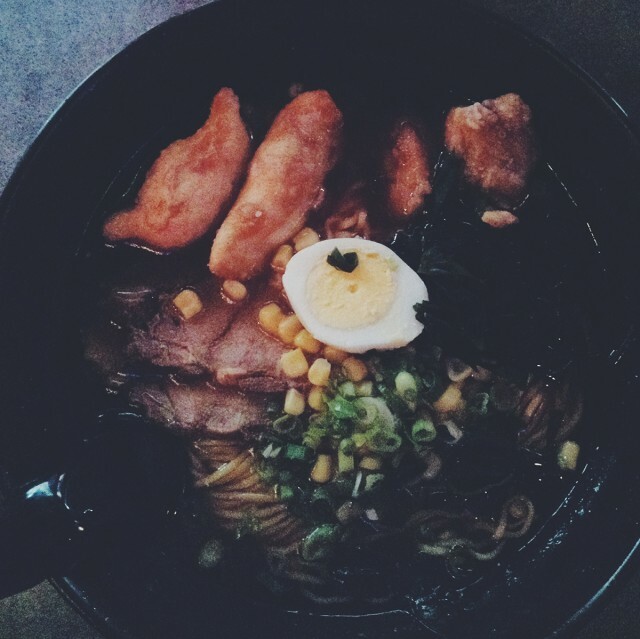 I had the Katana-Ya Ramen in Soy Broth. It included two pieces of BBQ pork, seaweed, green onions, corn, a hard-boiled egg, 2 pieces of fried goyza, and 2 pieces of karaage (fried chicken). 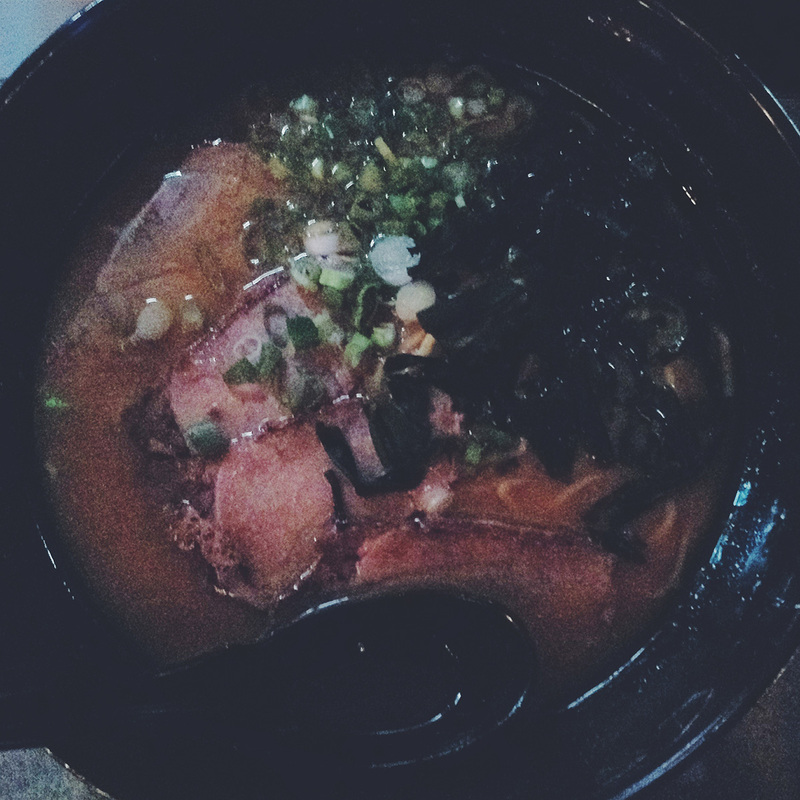 Erin had the BBQ Pork Ramen in Miso Broth. It included four pieces of BBQ pork, seaweed, and green onions. We both wished the pork was a pork belly as this was a bit tougher than we’re used to. When you arrive, there is a sign-in sheet outside the door. Put your name down and expect a small wait. Food arrives fast and hot! May need to flag down weight staff to pay your bill. They don’t take American Express.